Za from Shiseido needs no introduction, considering the fact that their True white range has received some great reviews. I myself have kept you updated with their products and most importantly, they have actually worked pretty well. Now, The House of Shiseido presents Za Beauty School - an exclusive experience with Za’s high skin expertise of Za and Japanese “Omotenashi” [Hospitality]. With Za Beauty School, Indian Metropolitan women will get a chance to master skincare, the Japanese way! Za Beauty School will be held by one of the most prolific Beauty Experts from the House of Shiseido, Megumi Mitsui who will take the participants step by step from cleansing to moisturizing for that perfect skin. She will also use Shiseido’s patented Skin Analyzer to evaluate the guests’ skin moisture levels, melanin content, texture and skin age. All you need to do is to let me know if you're interested and which city you would like to attend the Za Beauty School. For that you can Mail Me or comment here or tweet to let me know about the same. The giveaway ends on 4th of September and winners will be announced on 5th. So, hurry up girls, indulge yourself in the getting to know your skin better than ever. 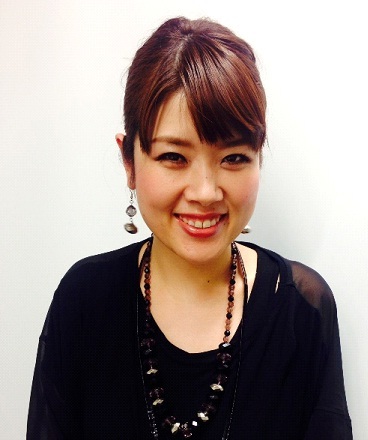 Megumi Mitsui joined Shiseido in 1999 as a Beauty Consultant. Her famed consultations featured Shiseido’s high sense of aesthetics and embodied the spirit of Omotenashi [Japanese for Hospitality], that made her one of the most prolific Beauty Consultants from the company in Japan. In 2004 she was chosen to participate in the prestigious Shiseido Global Beauty Consultant Contest where she represented the West-Japan Division. Ms. Mitsui expanded into the field of Beauty Consultant Training while also playing a leading role as an in-house makeup artist at Shiseido Co. Ltd in 2006. Since 2012, Megumi Mitsui has been appointed at the Shiseido Headquarters in Tokyo and is actively involved the product development, communications and Beauty Advisor training for the leading premium brand from the House of Shiseido – “Za”.